Well you might love about me, it seems so obvious: Anchovis and "peperoncini" - White wine! Well you are mostly right. 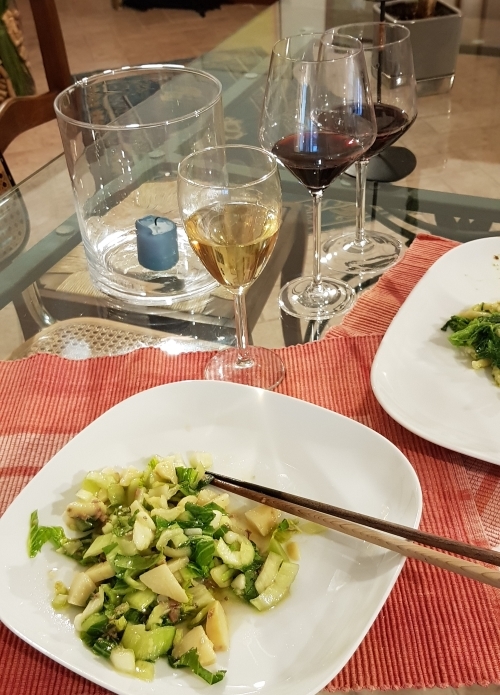 The Bok Choy salad does not fit with red wine. The Orvieto classico was superb, especially as it is a very mineral one, vulcanic. But I tried at least 5 times, before I decided the white wine is better also with the "Broccoletti". 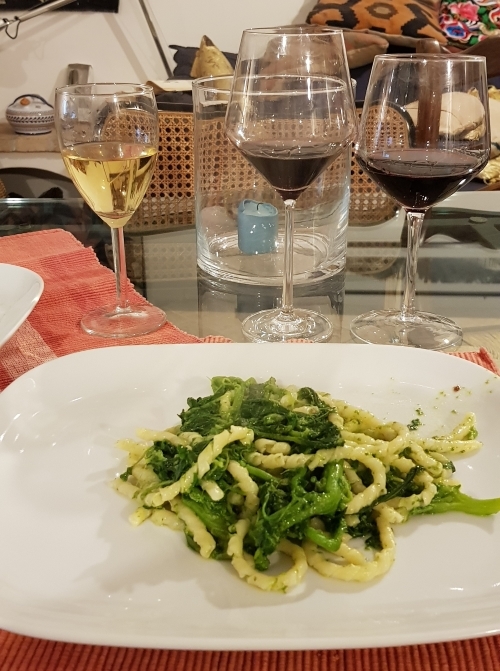 If someone does not like white wine, drink a good "Sangiovese Umbro" with your "Pasta e Broccoletti", as hot as they are. Interestingly the "Accordo" went better than the experimental San Giovese. I could not believe, because the San Giovese from Monte Giovese is spicy and I love it.